This article is 3214 days old. 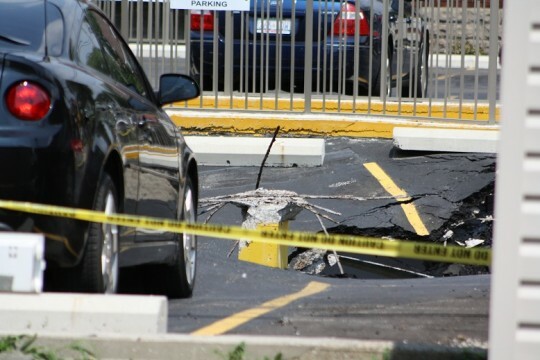 Thursday, July 8th – ﻿A man was operating a cherry picker in the parking lot next to Dufferin and Ellis Avenue when the ground underneath him collapsed into an underground parking lot below, shortly before 11am Thursday morning. 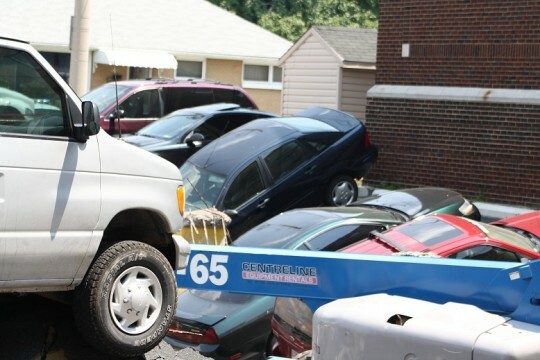 Witnesses say that the operator of the cherry picker was hanging by a harness attached to the basket of the machine. The operator, who appeared to be middle aged, suffered from a gash to his head and a sprained ankle. He was rescued by firefighters on scene shortly after the collapse. He was taken to hospital with non-life threatening injuries. 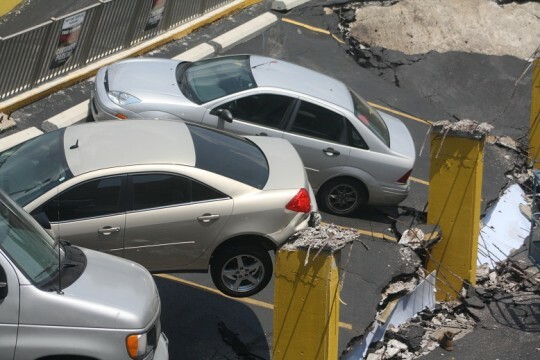 Firefighters were concerned that there may be additional people trapped in the other parking lot below, although nobody was reported missing. 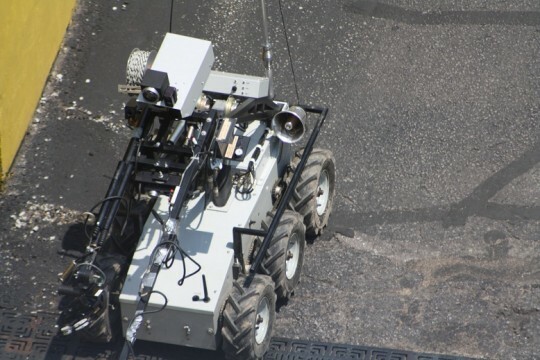 Therefore, Windsor Police’s bomb squad unit sent in a remote control operated robot with a camera to get a better look in the underground parking lot since emergency crews felt it was too unstable to send any actual people down there. 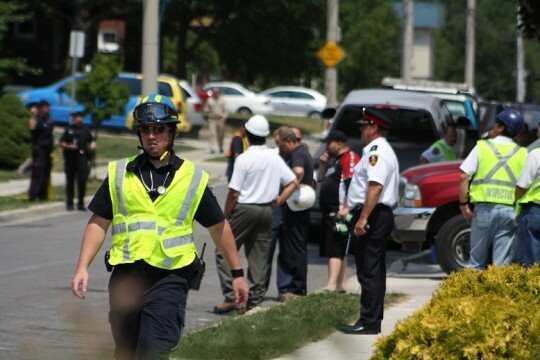 The Ontario Provincial Police sent in their emergency response team to assist. 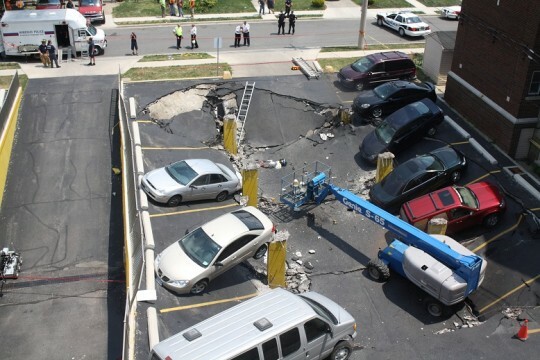 A structural engineer was sent in to help evaluate the situation. Hydro was also dispatched to deal with loose hydro lines in the vicinity.